Powder coated Black ornamental table base for use with rectangular table tops. Available from stock for a free and fast delivery. Durable finish. Unique design, perfect for a theme commercial environment. 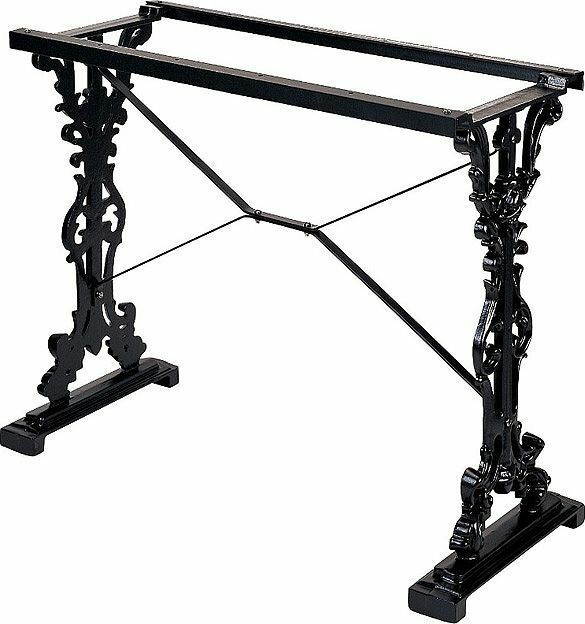 Designer ornamental rectangular shaped table base. This item is held in stock for a quick delivery within three to five working days from date of purchase.